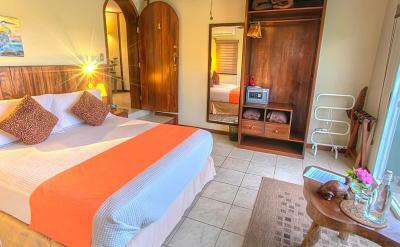 Lock in a great price for Semilla Verde Boutique Hotel – rated 9.4 by recent guests! Fantastic room with views to the ocean. Lush tropical gardens with giant tortoises roaming freely. Delicious breakfasts and dinners with great company. Cattya was the perfect host, made sure we had everything we needed, and provided lots of helpful information. Staying at Semilla Verde boutique hotel was a once-in-a-lifetime experience. After finishing a four day Galapagos cruise, it was the perfect place to experiencing life on the land in Santa Cruz. 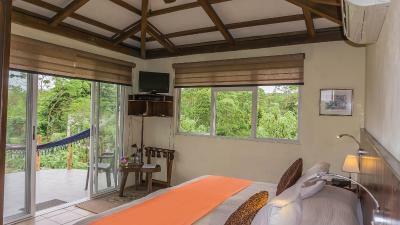 We enjoyed the breathtaking view from our room, the kind and helpful staff, especially Cattya, the delicious food, and the ability to see giant tortoises throughout the grounds. 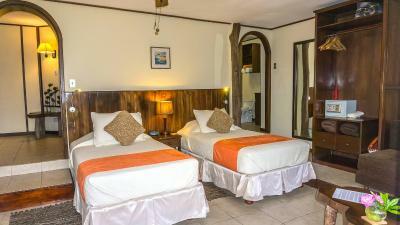 The hotel was very helpful in arranging transportation into Puerto Ayora, which we found very easy to arrange. 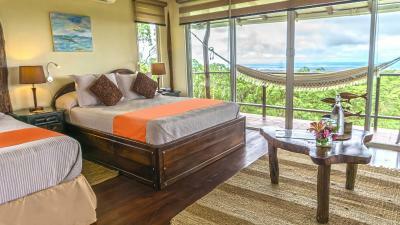 Staying at Semilla Verde is a truly unique experience. 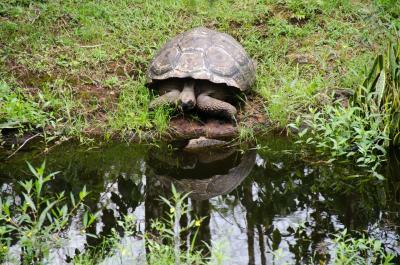 At any point during the day, you can find resident tortoises and a beautiful dog roaming the massive property. 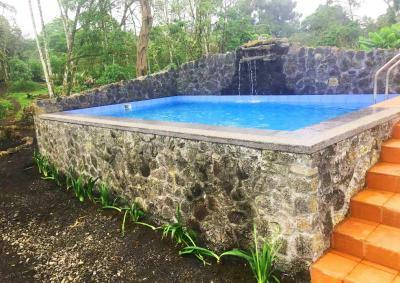 You can also hike (make sure to bring the dog with you) or take a dip in the pool to cool down (and you will need to cool down) after a day of exploring Puerto Ayora or a neighboring island. We stayed here for 2 nights before our cruise, and Cattya assisted in coordinating our plans for a day trip to Bartolome. As others noted, you will have to take a 15 minute cab ride into town, which we did for dinner both nights, but I still think it's a worthwhile experience. Great hospitality by the two hosts and overall great food and service! The hotel has a ubique location which allows to enjoy the breeze of the mountains and forest while watching giant turtles in the garden. The rooms are well equipped. It is central to all other visiting spots. But most of all, Robert (the owner) managed to give to this place a heart, making it a special home away from home, taking care of all details to make his guests stay as magic as possible. We had full support for our movements, for the organisation of our trips and dinners were delicious with plenty of vegetarian options. The staff was amazingly helpful and friendly. You have to love the giant tortoises. Having tortoises on the property was awesome! The staff is superrrrr friendly and accommodating. 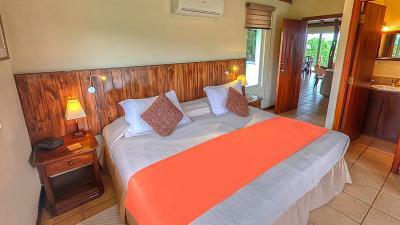 Comfortable bed and beautiful surroundings with Tortoises on the property. The location was wonderfully secluded & quiet. We stayed here on our last day of our trip. 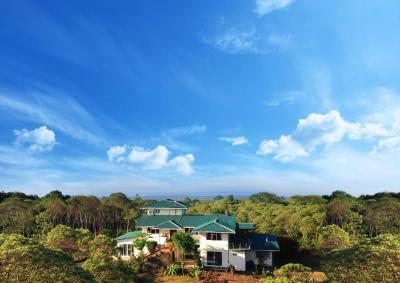 Semilla Verde is in a lush green area away from town. It was very relaxing. They have 2 tortoises on property which was fun to see. They also have a lovely walking trail through the vegetation. Breakfast was good. They provided different cereals, fruit, juice, coffee (grown on their property), fresh pastries, bacon, and eggs made to order. They also have 5 gallon water dispensers for guests to refill their water bottles. This seems to be common around the islands, so bring a good reusable water bottle or buy one at the convenience store to reuse after you arrive. 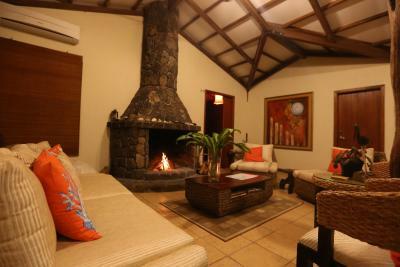 They also have televisions with DVD players in the rooms (we didn’t see this at our other hotels in the Galápagos). They have an extensive DVD collection which appears to all be in Spanish, but they’re not. Most are in English with Spanish subtitles, so don’t be afraid to try them out. 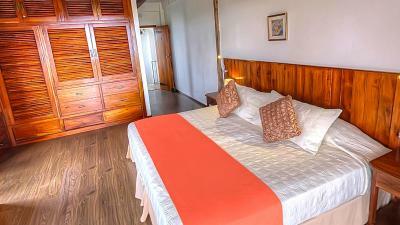 Semilla Verde Boutique Hotel This rating is a reflection of how the property compares to the industry standard when it comes to price, facilities and services available. It's based on a self-evaluation by the property. Use this rating to help choose your stay! 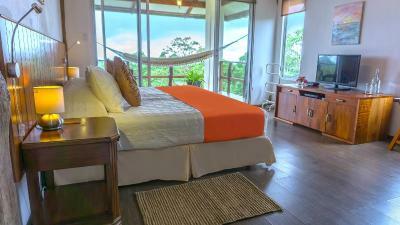 Semilla Verde Boutique Hotel gives its guests the real traditional guest house experience in Santa Cruz Island. 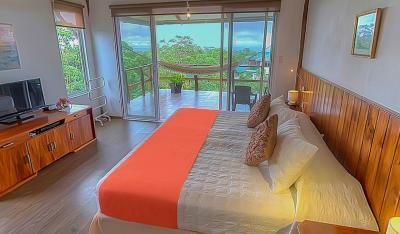 It is located only a 12-minute drive from Puerto Ayora. 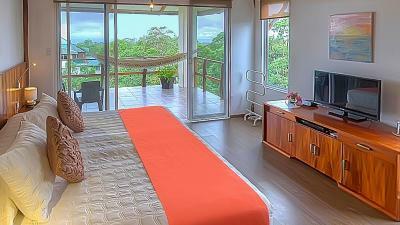 It offers rooms with free Wi-Fi and private balconies. There is free unlimited coffee from the hotel’s own sustainable plantation. 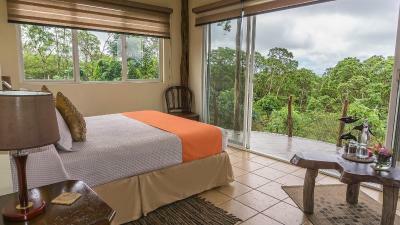 At this hotel guests can relax in the hammocks or spot wild giant tortoises and native birds in the hotel’s extensive garden and nature trails. 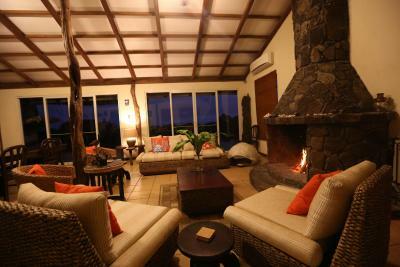 Panoramic views of Galapagos National Park can be enjoyed from the terraces. 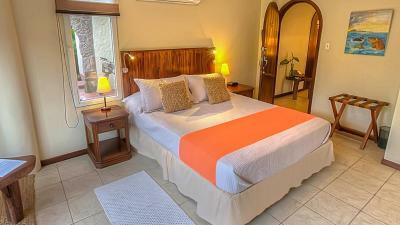 Semilla Verde Boutique Hotel has rooms with flat-screen TVs and DVD players. 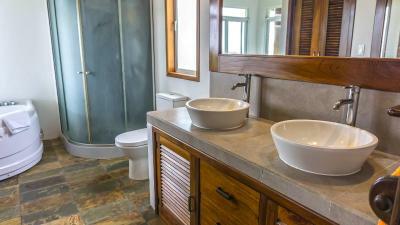 All of them include private bathrooms with bathtubs or showers. 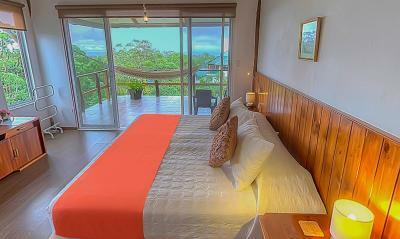 All the rooms have views of the forest or coastline from private terraces or balconies. 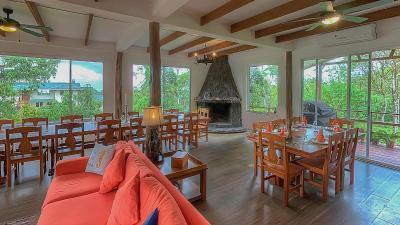 A full breakfast with eggs, fresh fruits, bacon and waffles is served daily in the main building of the property. 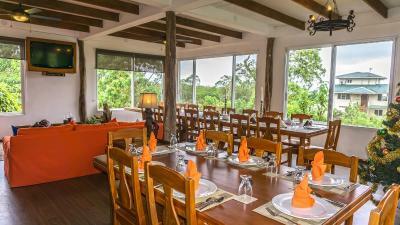 Meals including vegetarian dishes are available upon request and there is a bar. 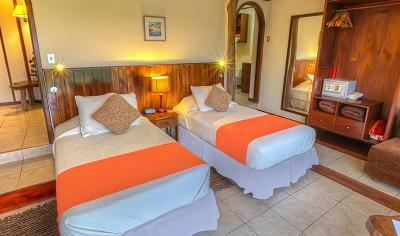 The hotel offers tours and activities to surrounding islands including Santa Cruz Island. 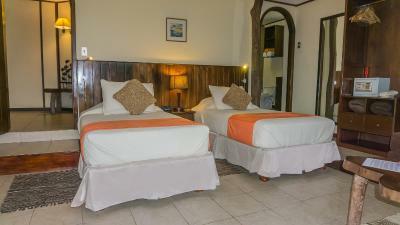 The hotel is a 12-minute taxi ride from Puerto Ayora town, the Charles Darwin Station and Tortuga Bay Beach. 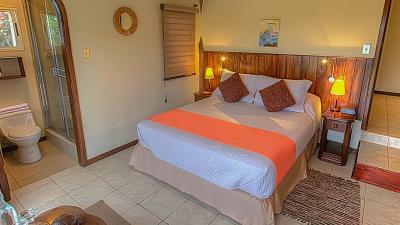 Semilla Verde Boutique Hotel is 19 mi from Baltra airport by taxi and ferry. Private transfers can be arranged to and from the airport for an extra fee. 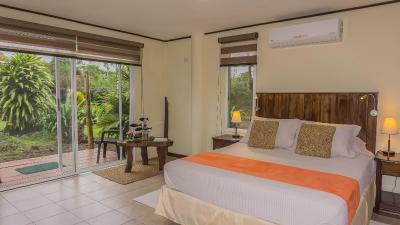 When would you like to stay at Semilla Verde Boutique Hotel? 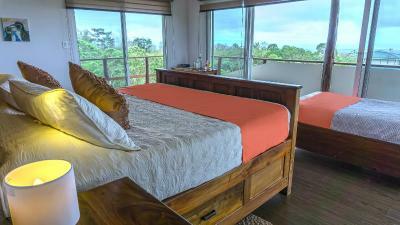 A large, comfortable air-conditioned room on the second floor of the property, with a private balcony and hammock, and panoramic sea, coastal and forest views. 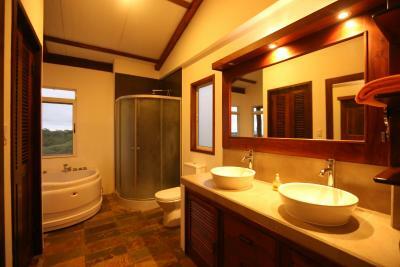 It comes furnished with a flat-screen TV and DVD player, a walk-in closet and a private bathroom with bathtub tub. 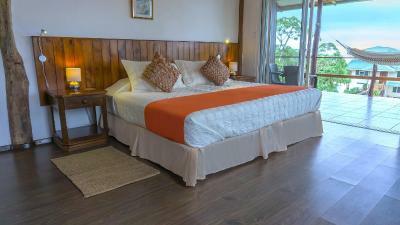 A comfortable room located on the 3rd floor and accessed through a wooden staircase. 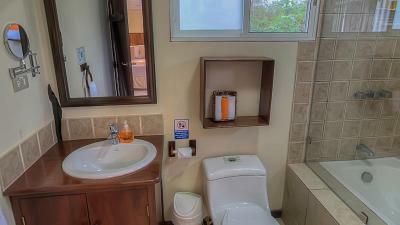 It features a private balcony, a flat-screen TV, a DVD player and a private bathroom with free toiletries. 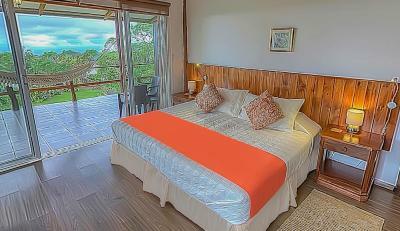 We offer complete hotel & tour package options for direct bookings. 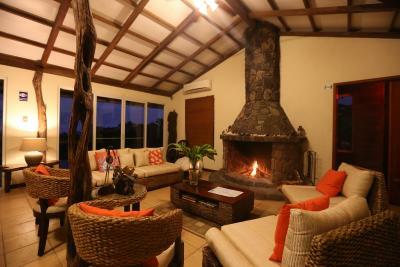 All in all, an authentic and genuinely friendly land-base for your Galapagos adventure and an all encompassing alternative to a traditional cruise ship experience. Meals should be preordered for arrival day. Or let us know at breakfast for same day lunches and dinners. 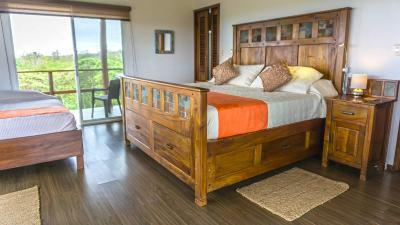 House Rules Semilla Verde Boutique Hotel takes special requests – add in the next step! 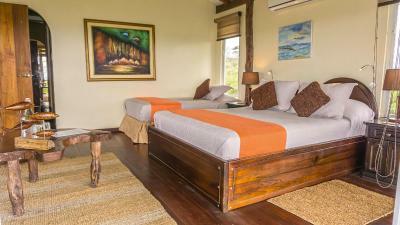 Semilla Verde Boutique Hotel accepts these cards and reserves the right to temporarily hold an amount prior to arrival. A deposit via bank transfer, PayPal or electronic check is required to secure your reservation (see Hotel Policies). The property will contact you with instructions after booking. 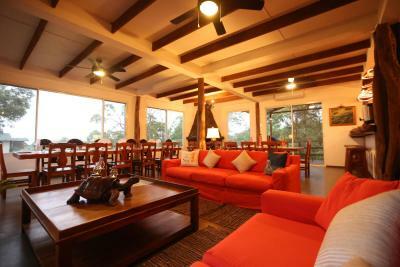 Semilla Verde remains true to the philosophy on which it originally built for good friends and family, ensuring a level of intimacy, few employees offering very personal service and home cooking your will only find in a traditional guest house. 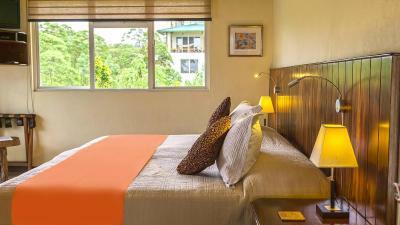 Please inform Semilla Verde Boutique Hotel of your expected arrival time in advance. You can use the Special Requests box when booking, or contact the property directly using the contact details in your confirmation. delicious breakfast, the location is quiet and in the middle of pristine nature. A real heaven. Rural setting with several Galapagos turtles in the garden! Staff fantastic. 1) This is not a boutique hotel. I had feeling that I’m renting a room in a guest house. No reception with a person in charge. During my stay owner of the hotel tried to manage everything by himself. 2) Hotel situated quite far always from Puerto Ayro and it will take you at least 20 min to get there and costs 7$. If you want a taxi from the hotel you need to tell at least one hour in advance. However, must admit they were always on time. The cloud forest near the hotel with gigantic turtles. Very relaxing atmosphere. From the moment we were greeted by Cattya we knew that this was going to be a very special place to stay. She was warm, welcoming and spent time with us to give us all the information that we would need for our time on Santa Cruz. Our room, number seven, was spacious, light and airy with a balcony shared with the room next door. The bed was extremely comfortable and came with two feather pillows as promised. 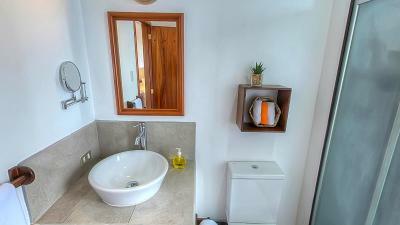 The bathroom was also light and bright and well fitted and there was a lovely and unexpected amount of storage space in the room for clothes, both hanging and on shelves. We seldom needed to use the a/c as the location of Semilla Verde in the hills made it pleasantly cooler than in town, but it worked well when we did use it. The only slight annoyance was that the people with whom we shared the balcony were very loud, seemingly almost shouting at one another from early in the morning and whenever they were there. 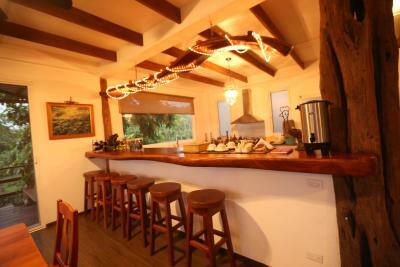 We liked having the honesty bar and the availability of delicious coffee which we were free to make whenever we wanted. 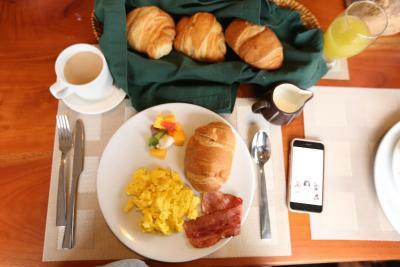 Breakfast was adequate, not the most exciting we had in our six weeks' travel in Ecuador. 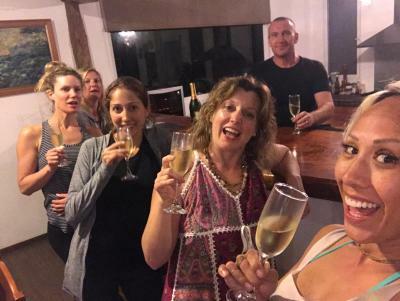 What really made this stay special was, of course, Cattya's attention to detail, her help with arranging cars, drivers, excursions, restaurant bookings and her willingness to take time to chat and give advice whenever we asked. Cattya was a great host. Loved the place. I'm so glad we chose to stay at Semilla Verde. The bed was comfortable, the food was deicious and the scenery was stunning with tortoises extremely close to us and throughout the property. We even used the onsite yoga room to stretch in the mornings. Kattya who manages the property went above and beyond to help everyone enjoy their stay at the Galapagos but especially us when we had to change all of our plans after Galapagos. They are lucky to have her! Host and family made for a welcoming atmosphere. Nice dinners in cosy setting. It was amazing, there was nothing we did not like. - great view from our (upgraded) room, including a giant turtle grazing - Kathy, the peruvian hotel manager, always there to help and gave plenty of good advice - it's a cute place to spend your first night because you will see plenty of giant turtles on the property. 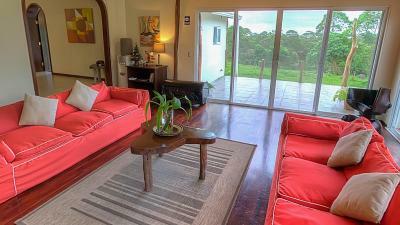 Semilla Verde is akin to a mid-scale B&B in the USA. It is not a boutique hotel in the USA sense of the word. They do a very fine job. Just do not expect a "hotel".